In a food processor or meat grinder, grind the halibut until smooth. 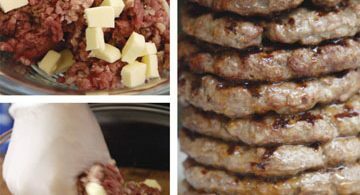 ASSEMBLE YOUR BURGERS! 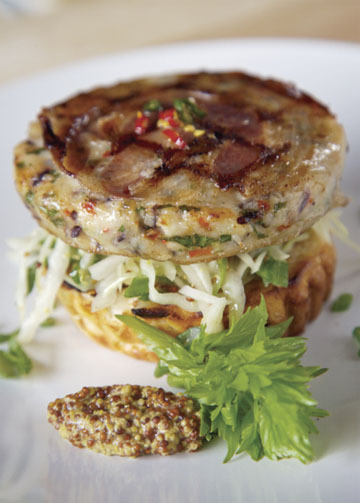 Brioche bun, Mustard Coleslaw (p. 131), pancetta-crusted halibut burger and add Brioche bun top.